I try to stick to facts in my posts, and I remind you that my blog is about cosmopolitanism. What is cosmopolitanism? It is simply the recognition that we are all world citizens, that I am at home in all area codes Geneva (+41), Paris (+33), Cuzco (+51), Jerusalem +972), Shanghai (+86), Toronto (+1) and Oran (+213). I might have mixed origins (simply click on my About page for more), I still feel at home in parts of the world that do not necessarily resort to my background. I’ve just come across the blog +972‘s puzzling paper entitled “Court okays Citizenship Law, legalizing discrimination of Arabs” and wish to express how uncomfortable I feel with the pieces of legislations made by my Jewish brothers and prohibiting non-Israeli non-Jewish citizens to live in Israel once they’ve married an Israeli citizen. I’m being told by the blogger, and certainly believe, that this piece of legislation is intended at prohibiting Arab-Israelis to live in Israel (their country of citizenship) with Palestinians or anyone actually who would not be Israeli. There are numerous scenarios that come into my mind and numerous reasons which could be quite valid from a Government’s point of view for adopting such a piece of legislation. Canada doesn’t act any differently nor the USA and I’m sure this is quite constitutional in many parts of our world. Does this mean it’s right ? Does it mean that this complies with our Common Human Rights? Does it comply with the history of jews who have never ceased to marry citizens from other countries and adopted their spouses’ citizenship? Up to now, the Supreme Court of Israel seemed to be a sanctuary of our jewish fair identity. This ruling, which definitely makes Israel a country like the others if not worse than quite a few, is a tragic end to any illusion I still had. Another devastating piece of news picked by a glance through this excellent blog is the fact that people will be fined if they wish to commemorate the Naqbah. Memory is what we, Jews, consider our backbone….Are we going to forbid people from having their own? Should, can I still say we when I mention my Israeli brothers and cousins? King, M. L. (1964). Acceptance Speech, on the occasion of the award of the Nobel Peace Prize in Oslo. Stockholm. Khoury, F. (2012). “High Court ruling on ‘Nakba Law’ reveals its waning power.” Retrieved Saturday, January 7, 2012. Ruttenberg, R. (2012). 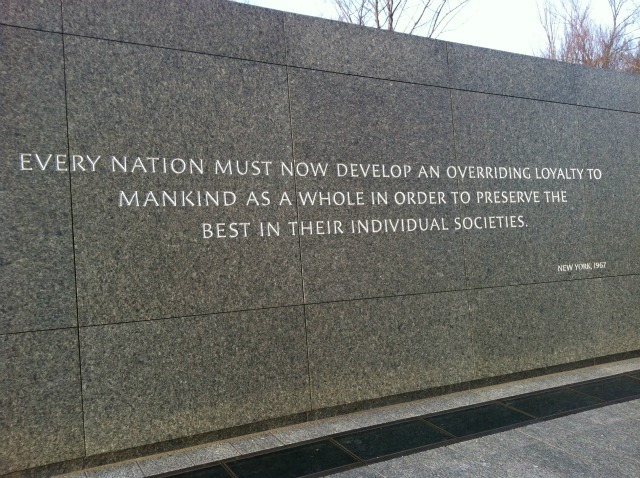 “A reminder to Israel from Dr. Martin Luther King, Jr.” Retrieved Sunday, January 15 2012. Sheizaf, N. (2012, Thursday, January 12 ). “Court okays Citizenship Law, legalizing discrimination of Arabs” Retrieved 15 janvier 2012, from http://972mag.com/high-court-okays-citizenship-law-legalizing-racial-discrimination-of-arabs/32802/.